I would like to start a new regular feature on my blog called "Teatime Conversations," and I need your help! What do you think? 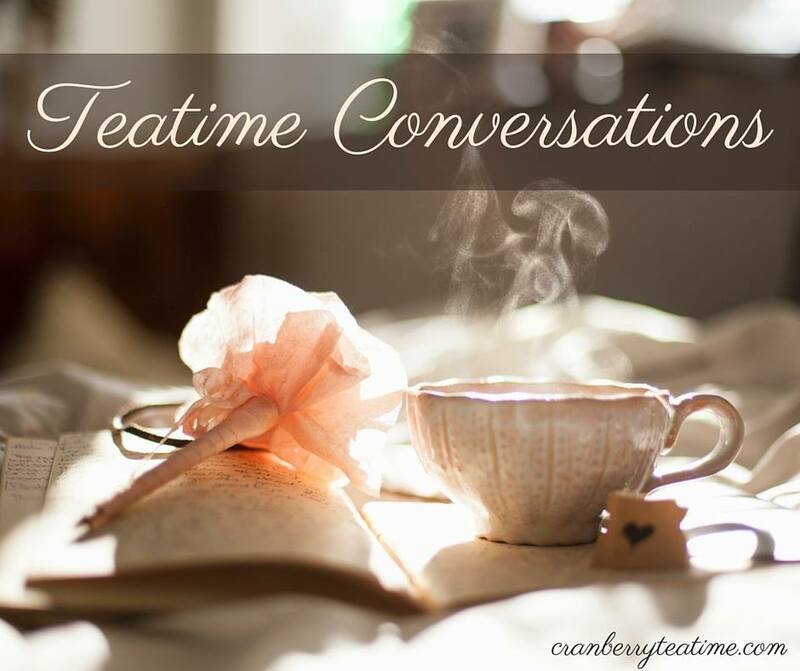 Do you have a question for a Teatime Conversations blog post? You are welcome to leave a question in the comment section or email it to me at RachelLundy(at)cranberryteatime(dot)com. If you are reading this blog post through an email subscription, you can reach me by replying to the email. Your name will be kept confidential if you would like it to be. If you would prefer to leave your question anonymously, you may do so using the form below.